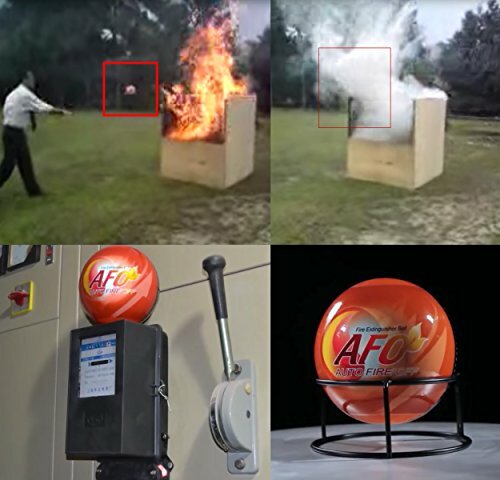 Fire Extinguishing Ball - Moar Stuff - You don't need it but you know you want it. 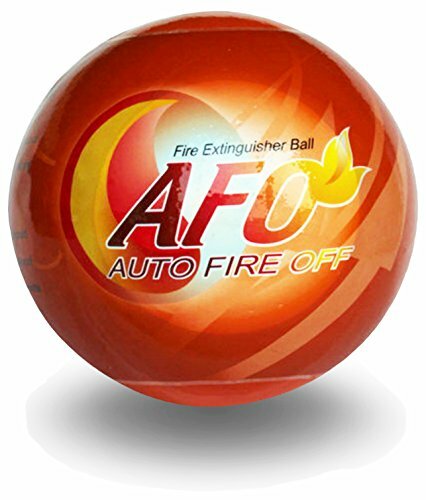 This AFO (Auto Fire Off) Fire Extinguishing Ball will finally put those dodge-ball skills you learned in high school to good use. 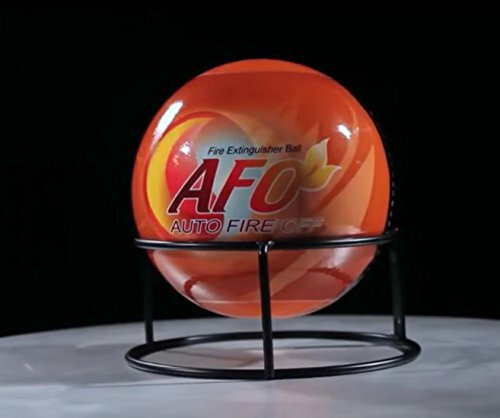 This 2.6 pound, 7″ diameter ball is filled with a dry powder flame suppressant and a dispersal charge (folks, that’s a fancy term for a big firecracker). When it comes into contact with fire, it explodes and covers up to 107 square feet after a 3 to 5 second delay. It’s rated as ABC so, it should work on any kind of normal fire (normal combustibles, liquids such as grease or gasoline, and even electrical fires). That makes it an ideal fire safety product for your kitchen, garage, car, boat, or even when when grilling in the backyard. It’s also good for restaurants, offices, auto shops, and manufacturing facilities. 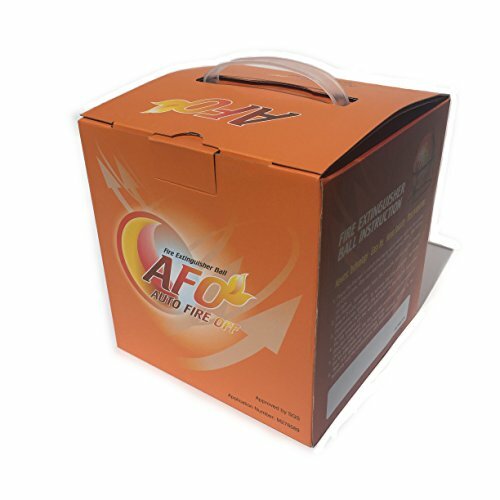 The AFO Fire Extinguishing Ball can be placed in a fire prone area and using the specially-designed stand that comes with each unit. The ball will self-detonate when it comes into contact with fire even if no one is around. Usually, you need an expensive fire suppression system to do that. It can be stored and forgotten about for up to 5 years as, unlike normal fire extinguishers, it doesn’t require yearly maintenance. If you want to see it in action, check out the video from What’s Inside. It’s pretty cool to watch and demonstrates that these things do, in fact, work. In addition, you get to see what happens if you happen to be next to one when it goes off. So, is it better than a normal extinguisher? Well, it depends. In a space like a basement or shed where you might not catch a fire early, I’d say, yes. Mainly because it can act as an automatic fire suppression system in a space like that. However, while it would work just fine in your house, it might be overkill. You don’t want to cover your entire kitchen in powder just because of a small grease fire, right? Dimensions: 7 x 7 x 7 inches (17.78 cm). Weight: 2.9 pounds (1.21 kg). Range: As far as you can throw it. Uses SGS approved ABC class dry powder.